1. What is Cobertura ? 3. What is Line and Branch Coverage? Branch coverage-> During the test coverage how much percentage of branches have been covered. 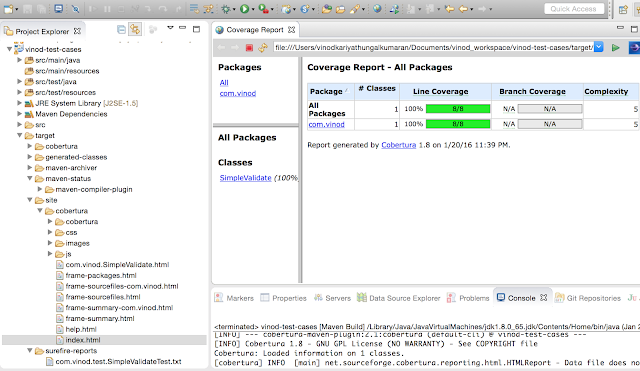 Below example will show how cobertura calculating line and branch coverage. After the build we can see the cobertura report has been generated with test coverage statistics..